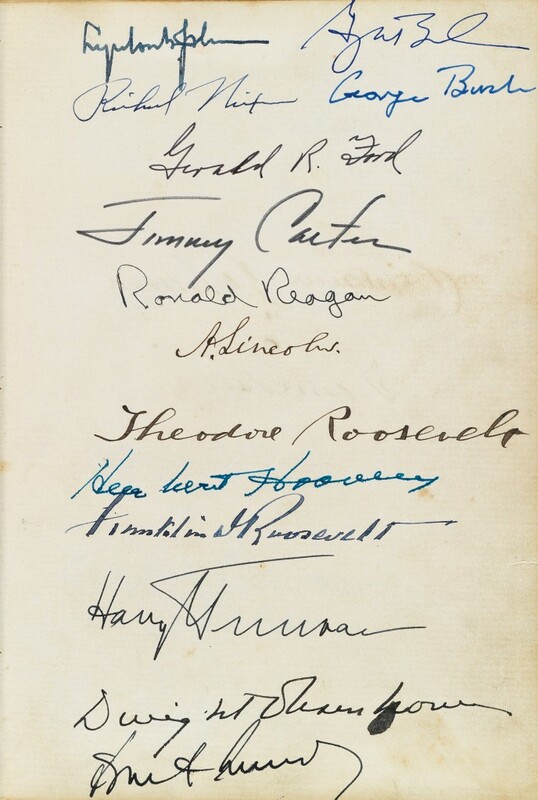 On November 1, a mere nine days before the American Presidential election, we offered an autograph album signed by 18 presidents, starting with Abraham Lincoln and ending with Barack Obama. Fourteen presidents signed the album on a single page, to make for a head-spinning who’s-who of powerful Americans. 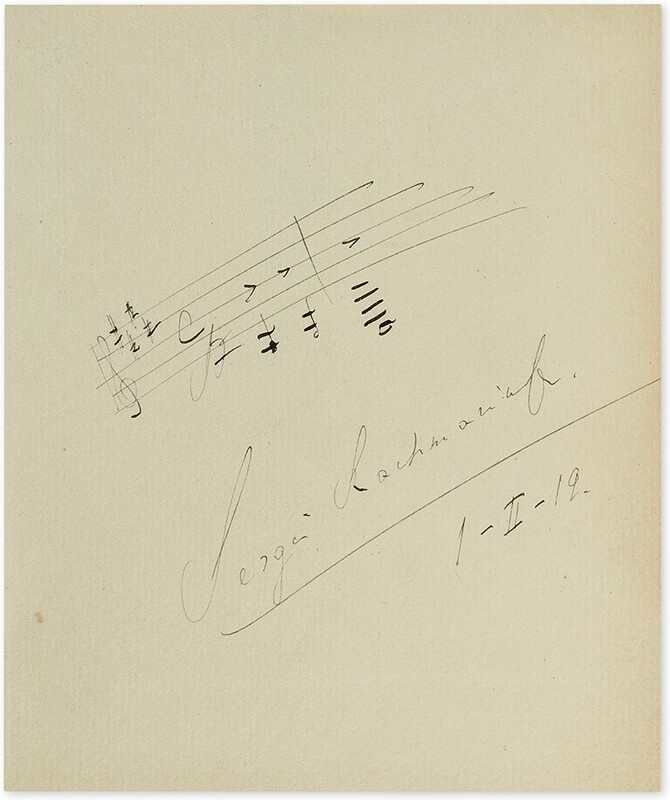 The album, which sold to a collector for $60,000, was the centerpiece of an eclectic and well-attended Autographs auction. Lot 118: Album with more than 130 Civil War-era signatures, including Abraham Lincoln and his cabinet, and signed by 18 Presidents, 1864-2010. Sold for $60,000. 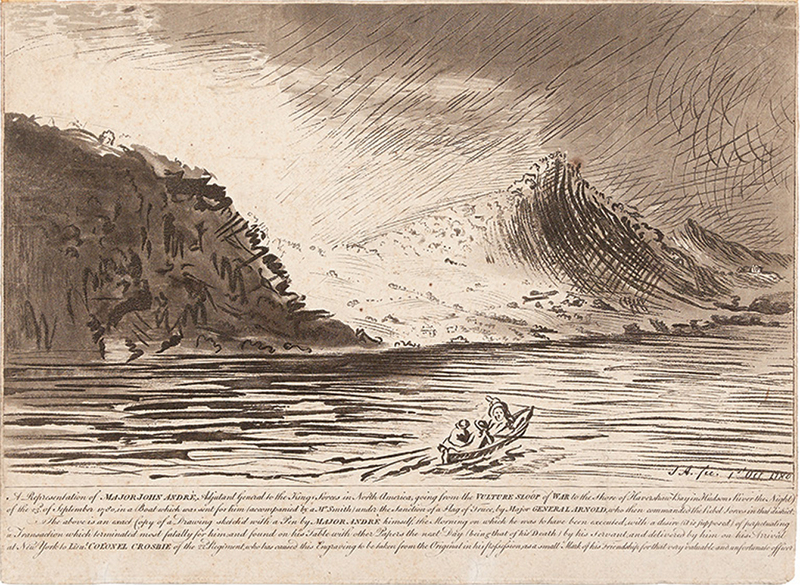 Presidents and historic political superstars performed exceptionally well in the sale. 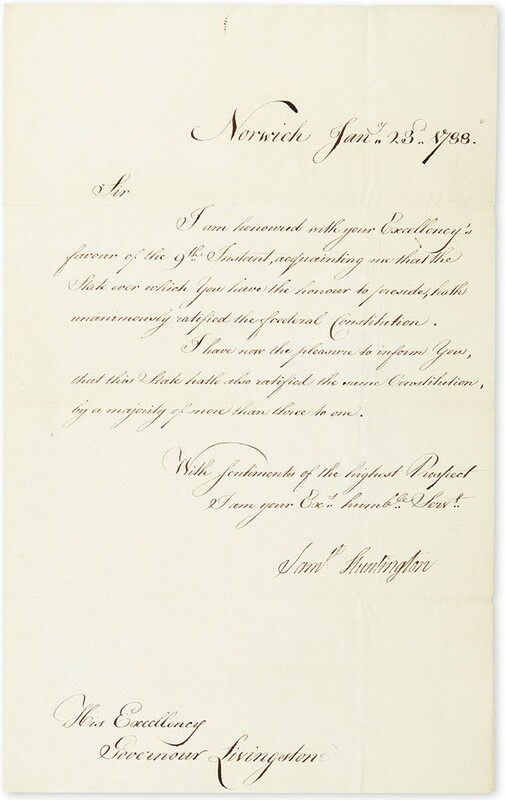 A Letter Signed by Samuel Huntington as Governor, informing the Governor of New Jersey that Connecticut had ratified the Constitution, sold for $36,400. 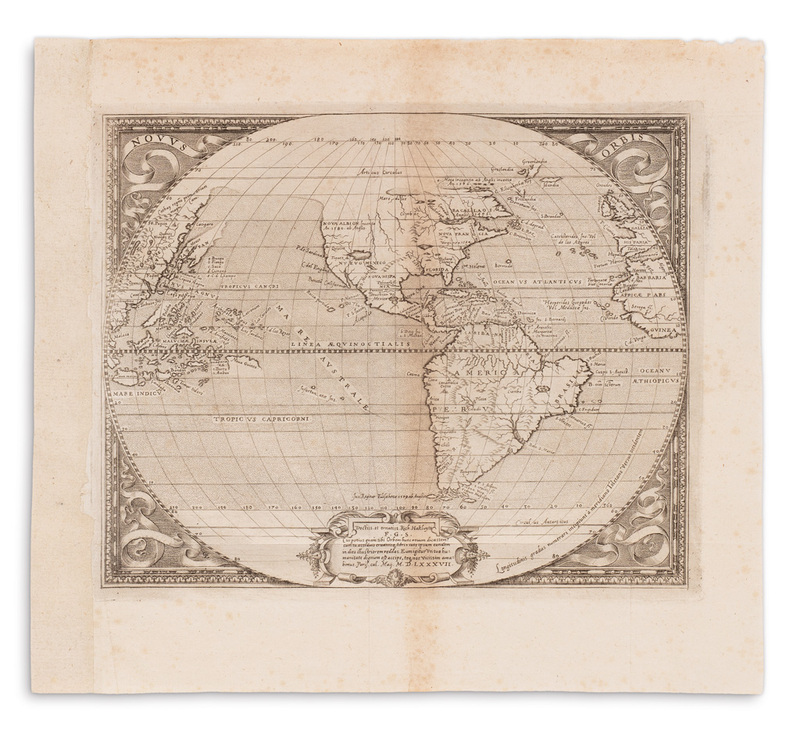 Various Partly-printed Documents Signed by George Washington achieved high prices, including a 1768 Virginia lottery ticket, which sold for $7,250, and the 1783 military discharge of Edward Keyser from the Second New York Regiment, which brought $13,750. Lot 26: Samuel Huntington, Letter Signed, as Governor, to NJ Gov. William Livingston, informing him that CT ratified the U.S. Constitution, 23 January 1788. Sold for $36,400. 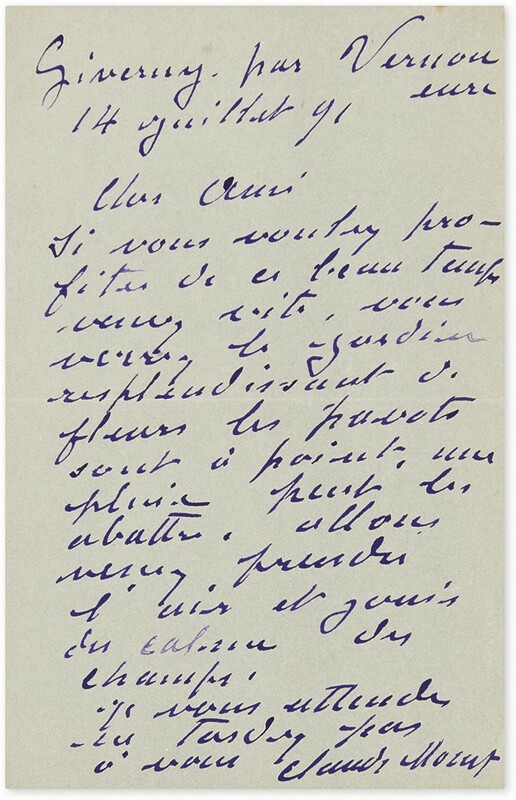 Lot 276: Claude Monet, Autograph Letter Signed to Gustave Geffroy, inviting him to Giverny, 14 July 1891. Sold for $8,125. 1 February 1919. Sold for $7,000. 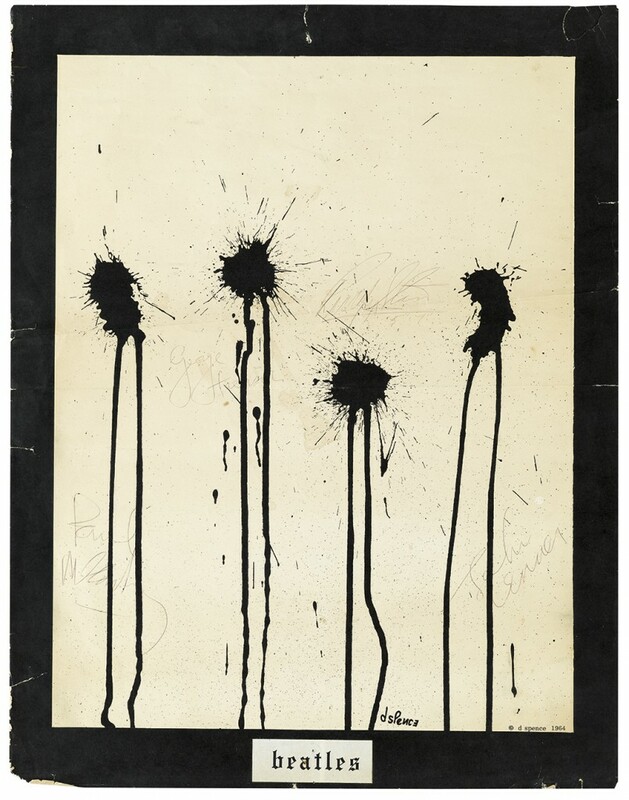 Lot 59: Poster signed by each member of the Beatles, with Ringo Starr signing next to the shortest inkblot with the addition “5’7” (indicating his height), 1964. See the catalogue for full results. The next Autographs auction will be held on May 4, 2017. To consign quality materials, contact Marco Tomaschett.